Connect More to ______: AVOID THE RULES and 3TV Video Reviews. The goal of these videos is to explain the rules of the game as if I was explaining them to you prior to playing. This video will get you playing the game without ever having to open the rule book! You can also send these videos to your buddies prior to game's night to minimize rule explanation upon arrival. 2. 3TV: The Table Top View of Tiny Table Toppers! I am the proud father of 3 children - aged 4, 3, and 2 (Yowzers!). 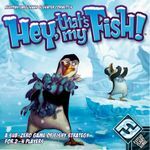 I record the games that are a hit with my children (for now - just the two oldest boys) in an effort to highlight games that may work well for kids this age. I also try to highlight different strategies and different modifications required to maximize the enjoyment of the kids. 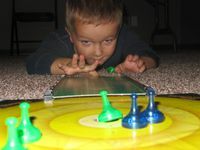 Right: This is my son watching intently as his green slider topples into the center hole of Sorry! Sliders. The list is organized in order in which I complete the videos. 3TV: The Table Top View of Tiny Table Toppers! Castle Panic is a cooperative game that has captured the attention of my tiny table toppers like none other (so far). Every bed time story must now be centered around the adventures of the Troll Mage, the Orc Warlord, and the Healer! I have lent this game to other families with boys ages 4 and 6 with a 100% success rate! Video # 1. Recorded and submitted August, 2013. At the time of the recording, this game was much more popular than Sorry: Sliders (I mention something to this affect). As the boys have gotten older and are now able to flick the Sorry Slider all the way to the center ring, the two games share popularity at our house. Yedo is a theme rich game in which you are, primarily, trying to accomplish different missions to gain prestige with the Shogun. To get the necessary requirements to complete missions, clever worker placement and shrewd bidding will be required. Hand management of the various card types (Mission, Action, Bonus), selective card drafting and set collection (primarily of your weapons) all need to be carefully balanced to achieve the most prestige. Negotiation and trading is required to assist you on your missions. Video #3. Recorded and submitted October, 2013. 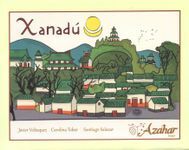 Written review: Connect More to Xanadu: A New Kind of Colombian Export! The goal of the designers was to create a good worker placement card game to reduce publication costs so that the game could be published entirely in their native Colombia. Being a card game, Xanadu also incorporates card drafting and hand management mechanics. Video #4. Recorded and submitted October, 2013. 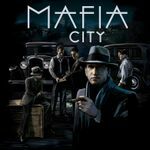 Mafia City is an area control/influence game. You bid for control and power in the different city regions with your mafioso (represented with poker chips). Cards are used to help accomplish your goals. Clever hand management and a little bit of card drafting luck will go a long ways in helping you acquire control the city. Skillful negotiation will also be required when trying to deal with the opposing mob bosses. Video #5. Recorded and submitted October, 2013. My boys love how they can say the phrase in so many different ways, to mean different things! - Anger when someone beats them to a particular tile: HEY!!! That's my fish! - Gloating when they got a key tile: Hey! That's MYYYYYY fish! - Confirmation that they just blocked you out of a huge section of ice: Hey! That's my FIIISSSSHHHHH! 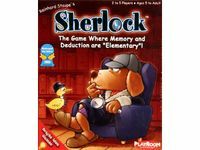 Although Sherlock is primarily a memory game, it has proven to be an excellent game to practice deductive reasoning, directions, and (in a weaker sense) counting and number recognition. Turn taking and patience are also reinforced. 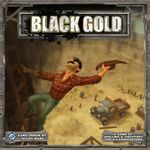 Black Gold is an excellent game to use to promote discussion of the oil and gas industry. You take the role of an aspiring oil and gas baron in the Permian Basin of west Texas. The person who acquires the most wealth (or money) will be declared the winner. To earn money you must auction and bid for the right to sell your oil at one of the available oil markets. Clever commodity speculation as to when and where to sell your oil, some nerves of steel when bluffing against your opponents, and some press your luck opportunities will all be required to finish ahead of your fellow oil man. Your oil exploration is done by driving your truck (grid movement) around the Permian Basin, which is represented by a modular board giving you a different experience every time you play. Your actions are chosen at the beginning of the round in a single card drafting phase. Video #8. Recorded in October and submitted November, 2013. Monza is mechanically similar to Candy Land but it provides more strategic choices, is thematically superior (for boys at least), has a roll and move mechanic with dice, and has a "toy-like" quality with the little cars (which is always an important consideration with Tiny Table Toppers). Turn taking and patience are reinforced. Rory's Story Cubes provide an excellent means for your Tiny Table Topper to express his/her creativity, develop their language, and help them become good listeners when other people are playing. 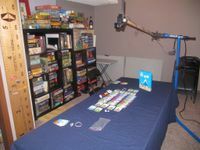 The game can be played in any variety of ways to suite you and your Tiny Table Toppers mood or skill level. Clash of Cultures (CoC) is an elegant and streamlined civilization game in which all players start with a small settlement and a settler. 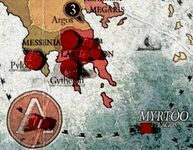 From these modest beginnings, each player will attempt to build the mightiest and most dominant empire, which is measured in victory points. eXterminate rival players either through confrontational military means or through less aggressive cultural influence. Battles and cultural influence are resolved through dice rolling, with modifiers available. Negotiation and trading with other cultures is often required to progress and advance your civilization. Most importantly, CoC is a ton of fun! Video #11. Recorded and submitted November, 2013. Forbidden Island is an aesthetically pleasing cooperative game where everyone must work together to capture all four treasures on the island and escape on their helicopter before the island and its treasures are reclaimed by the ocean never to be seen again. Each player represents and controls a different adventurer, each with a special ability (variable player powers), on an expedition team. On your turn, you are allowed to take up to 3 actions (action point allowance system) including movement (grid movement) on the modular board, information/card sharing (set collection), shore up, or you can find a treasure. Video #12. Recorded and submitted December, 2013. Monster Chase is an excellent cooperative memory game, especially for energetic tiny table toppers who like to shout and express themselves while playing! 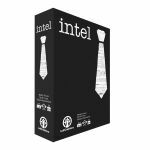 The high energy of this game is what makes it stand out among the many, many memory games that are available for tiny table toppers. This is also an excellent early opportunity to introduce your Tiny Table Toppers to the awesomeness known as Antoine Bauza! 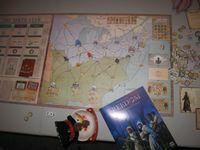 Freedom: The Underground Railroad is a highly immersive cooperative game that promotes lively discussion of both its game play and theme. A very simple game to learn, yet very difficult to beat. Each player chooses 1 of 6 different roles that were historically significant during the time of the underground railroad. Each role is unique with special abilities (variable player powers). The game is an intricate and dynamic puzzle that requires just the right balance between freeing slaves to Canada (pick up and deliver) and raising sufficient funds (economic) to advance the abolitionist's cause. Video #14. Recorded in December/January (2013/2014) and submitted January, 2014. Sleeping Queens is an excellent card game that combines hand management with some excellent early numeracy and mathematics curriculum ties for kindergarten and grade 1 (at least for Alberta) to maximum your card drafting efficiency. When Queens are put back to sleep, a keen memory is required to choose the most valuable queens while avoiding the lesser ones in future turns. This game provides a good litmus test for the style of board gamer that your tiny table topper might be. 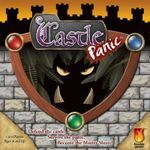 Press your luck (with the Jester card), high levels of player interaction, or take that (with the knight and sleeping potion cards), and your ability to mitigate the risk of being taken advantage of by your opponents make this a highly engaging and exciting affair! Turn taking and patience are reinforced. 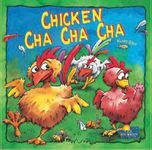 Chicken Cha Cha Cha is a an excellent memory game with a toy quality that your Tiny Table Toppers will surely enjoy. This game provides an excellent introduction to player interaction (or a mild component of "take that") while not being offensive to other players; the player interaction (i.e. taking another chicken's tail feather) is a consequence of your own actions and taking care of your own agenda. Players turns go on as long as they continue to remember the tiles in front of their chicken, which reinforces turn taking and patience for the other players. Depending on how involved you get, movement and dancing can also be incorporated into the game play! A whole variety of memory games are also discussed in terms of their player interaction (or "take that!" element). Games discussed include Sleeping Queens, Monster Chase, Hanabi, Sherlock, Rat-a-Tat Cat, Glory to Rome, Mamma Mia!, and Pengoloo. 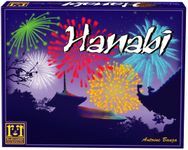 Hanabi is a cooperative card game . Players work together to place five suites/colors of cards in ascending numerical order from 1-5 (without repeating or skipping any numbers). Cards are held so that they are only visible to the other players; players do know their own cards! In this way, typical card game mechanics such as hand management and set collection become a cooperative affair, which introduces a unique and highly engaging level of deduction, memory, and press your luck elements into the game. On his/her turn a player may give a numerical OR a color clue to another player, play a card, or discard a card. Constant evaluation and adjustment to communication styles, cooperative team work, a sharp memory, and a little luck are required to win. Video #17. Recorded and submitted February, 2014. Video #30. Recorded and submitted October, 2014. Video #29. Recorded and submitted September, 2014. Personally, I found the rule book to be lacking in some details. I decided to make some player aids and reference sheets to assist me and others. Video #18. Recorded and submitted February, 2014. Kill Shakespeare is a semi-cooperative board game where you assume the role of a different character who has a unique ability (variable player powers) from the Kill Shakespeare comic series. You are a part of the Prodigal rebellion that is trying to oppose and overcome the heavy hand of King Richard by capturing and gaining the area control/influence away from him. You and your pals will spread the rebellion's influence by navigating the land and seas (area movement), embarking on great adventures and daring quests. Trading (catan-style) resources may be required to get all the necessary inputs (set collection) to complete a quest. Resources are acquired throughout through a variety of mechanisms including auction/bidding on different card decks, card drafting, the wheel of fortune and, of course, by successfully completing quests. Cooperation, backstabbing, and clever negotiation are required to emerge as the Rebellion's hero! You will be faced with agonizing, press your luck, decisions in moments when it appears that King Richard will crush the rebellion. Your luck and fate can also be determined by dice rolling. Written review: Connect More to Kill Shakespeare - I thought Shakespeare was supposed to be boring?! 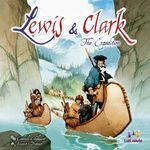 Lewis & Clark is a game that rewards clever hand management, strategic worker placement, and efficient hand/deck building (through card drafting). A keen sense of timing is required to know the optimal moment when to perform and apply your actions. The seamless integration of these mechanics and the historic theme make this game a huge hit for me! Video #19. Recorded in February and submitted in March, 2014. Madeira has more meat on it than an all you can eat Texas roadside BBQ! Mechanically the game is very simple. At the beginning of each phase dice are rolled. 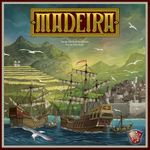 In turn order each player chooses a set of dice that they will place (worker placement) throughout their turn to gain various benefits either from different characters or buildings within Madeira. The decision tree as to why you would want to choose one over the other is extremely intricate and presents many opportunities and strategic paths to victory. The winner will be the person who gains the most prestige with the Crown of Portugual by adapting him or herself to their whims by successfully fulfilling various requests from them and by remaining flexible to the changing farming conditions. This is a BBQ worth skipping breakfast for! Video #20. Recorded and submitted April, 2014. 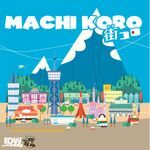 Machi Koro is a very welcome, light, bone tossing filler with some interesting strategies that range from 'all in' to 'hedging your bets'. This game may be, naturally, compared to Catan in the sense that they are both dice rolling, then collect resources/income based on the dice roll games. Rather than expanding your network on a board (like Settlers), each player in Machi Koro drafts cards (card drafting) from a common pool and adds in to their own tableau. The cards drafted help the players earn income throughout the game, which is required to construct the necessary buildings to win. Playing Machi Koro is like being at a hot table of Craps in Vegas with lots of group cheering and upbeat energy! Video #21. Recorded and submitted April, 2014. Polis is an asymmetric 2p civ-light, economic, resource management, war game hybrid. This game will appeal to anyone who appreciates an in-depth experience in any of these genres. Area control/influence and strategic area movement on the map are key to having access (or to prevent access) to the resources required to build your engine and to grow your civilisation. A 4 sided die is used (dice rolling) to determine resource market values of the goods and if Polis besieging attempts are successful, which incorporates a small element of luck (that can easily be mitigated and planned for). Battles are resolved by card drafting from the Battle deck, then playing cards against each other in hopes to either eliminate the defending player's units and/or earn prestige. Take the fire alarm out of your game's room because it will go off - your brain will be burning…but in a good way! Fantastic Game! Video #22. Recorded and submitted May and June, 2014. Shadow Throne is an excellent card drafting and hand management game that will certainly appeal to any Game of Thrones fans. Players draft their entire hand first, then the cards are played simultaneously (one at a time). This two step process introduces two different levels of decision, speculation, second guessing, and deduction with some luck mixed in. The game plays and feels quite different with player number (3p-5p) but are all equally enjoyable (for me). The higher the player count, the more swingy the battle may be! This is a very enjoyable light filler length game. Video #23. Recorded and submitted June, 2014. Vaults is a fast playing card game where players try to earn money by cracking a series of vaults, which all require specific combinations to crack. Having a good crew is sometimes not good enough as the police may have caught your scent and may foil your best laid plans. Players must manage their hands (hand management), draft cards (card drafting), and execute their plans within a set limit of actions they have each turn (action point allowance system). Beware! You are not the only vault cracking crew in town - the other crews may start to target you if you are starting to become a little too successful! This is a very enjoyable light filler length (~30 minutes) card game. Video #24. Recorded and submitted July, 2014. Wow! This one funded quickly...and for good reason! Mechanics: Social Deduction, area movement , hand management, partnerships, and rock, paper, scissors. Video #25. Recorded and submitted July, 2014.